Nowadays, your business won’t be able to do as well as it should if it doesn’t have a website that provides users with more information about the company as well as the products and services that you’re offering. Of course, if you want to get the most out of your website, you will need to make sure that you invest money on your site to make it more attractive and easily found by your target market. One crucial investment that you will need to make is with regard to your website’s web host. While it’s possible to get free or cheap hosting services, these won’t allow you to maximize what you can get out of your website. While getting a dedicated server is clearly the best option for most businesses, a lot of business owners are hesitant in getting this because of the large price tag that accompanies dedicated servers. Instant setup virtual private servers (instant setup VPS) allows you to get the benefits offered by dedicated servers at a much lower price. This article gives more information about instant setup VPS to give you more information about this server option, including the many benefits you can get from quick setup VPS. What is instant setup VPS? VPS hosting is a type of hosting package that essentially splits the storage space of one physical server into two or more virtual ones without allowing these virtual servers to compete for resources. As such, each of these partitions will essentially work as separate servers, as nothing that will be done on one virtual server will be able to affect all the other virtual servers in the same physical server. Normally, a VPS is installed within a few hours’ time, or maybe even after a few days (depending on the service provider). However, for those who believe that time is money, instant setup VPS is available to these individuals, as they will be able to get a web host for their site in as short as 15 minutes. By opting for a fast setup of VPS, you will be able to work on your website as soon as possible so you will be able to draw more attention to the products and services you are offering. Instant setup VPS is usually a little pricier compared to normal VPS hosting, but it remains significantly cheaper compared to dedicated servers, so you will still be able to get a lot of savings by investing in. Affordability. One of the biggest benefits offered by instant setup VPS is affordability. This is a cheap option compared to getting a dedicated server. At the same time, you will be getting the numerous benefits offered by the latter, so this option is definitely an attractive package. Speed. With instant setup VPS, you don’t have to waste time and money in having to wait for your server to be set up. You can get your server up within minutes, so you can begin working on it immediately to attract people to the products and services you’re offering. Control and freedom. Much like a dedicated server, you have complete freedom and control in managing an instant setup VPS, so you can configure it in such a way to make it suit your preferences as well as your needs. Security. Like dedicated servers, an instant setup VPS comes with tight security, making your site less prone to falling victim to hackers, malware, or any other such security problems. In the rare instance that the other websites belonging to the same physical server as you experience any security breach, you don’t have to worry that your own site will be affected, since your server is completely isolated from the other partitions. You also need not fear that those using the same physical server as you will be able to gain access to your files, since you are the only one who will have access to your own server. Space. Space isn’t a problem with an instant setup VPS. Should you run out of space on your server, you actually have the option to upgrade your hosting plan so that more space will be allocated to you. Data recovery. Should a crash happen, you need not fear that your important files and other data will become lost, since an instant setup VPS comes with an efficient disaster recovery system that allows you to gain access to your backup files quickly, since these are already found on the same physical server as your original files (albeit on a different partition). Your needs. Make sure that the instant setup VPS you get actually contains features that will suit your needs. Most server providers offer different types of packages to suit the different needs of their clients, so make sure that you evaluate what each package comes with so you can get the option that’s best for you. Some factors that you will want to take a look at to ensure that you’re getting the right server package are disk space, monthly bandwidth, and allocated RAM. Be sure to take a look at what operating system the instant setup VPS is running on as well. Ease of use. Make sure that the instant setup VPS you will be getting is actually something that you will be able to use. Most users opt for the cPanel VPS hosting since cPanel is easy to use and allows even beginners to take advantage of the many features of the server. What is the best instant setup VPS? 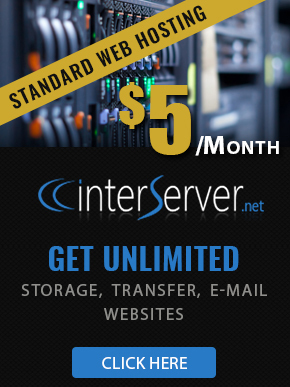 Interserver is a good instant setup VPS. Not only will this allow you to set up your account in a short time, it also offers several types of hosting packages and payment schemes that will suit both your needs and budget.